Clinical Solutions :: What is Central Sensitization? Very excited that prof. dr. Jo Nijs wanted to make a short online lecture about central sensitization! It is an interesting and important topic for physiotherapists! 1. What is central sensitization and what are the underlying mechanisms? 2. For treatment purposes, does it matter wheter a patient with chronic pain has central sensitization or not? 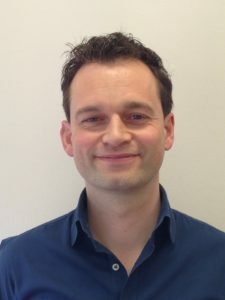 Jo Nijs holds a PhD in rehabilitation science and physiotherapy and master of sciences degrees in physiotherapy / rehabilitations sciences as well as manual therapy. He is professor at the Vrije Universiteit Brussel (Brussels, Belgium), physiotherapist/manual therapist at the University Hospital Brussels, and holder of the Chair ‘Exercise immunology and chronic fatigue in health and disease’ funded by the Berekuyl Academy. He runs the Pain in Motion research group (www.paininmotion.be) and a physiotherapy-based treatment program for patients with chronic pain in the University Hospital Brussels. His research and clinical interests are patients with chronic ‘unexplained’ pain / fatigue and pain-movement interactions, with special emphasis on the central nervous system. Jo Nijs explains in this online lecture what central sensitization is and what we can do about it. “central sensitization (CS), a process characterized by generalized hypersensitivity of the somatosensory system. From: Nijs et al. (2014) Applying Modern Pain Neuroscience in Clinical Practice: Criteria for the Classification of Central Sensitization (Pain Physician 2014; 17:447-457).